As a contractor, your job is to complete a remodeling job to your client’s exact specifications. However, because the world of remodeling is so large, with so many varying products, communication can be difficult. The best way to ensure that your client is getting exactly what they pay for is by bringing them to a ProSource® of Daytona Beach showroom. At the showroom, you and the clients will be able to peruse all of the available products and strategize what the final project will look like. The showroom will help you both not only coordinate what the room will look like but communicate what products will be installed. Kitchen cabinets are important to a kitchen because they are the items that are used the most. Think about it, your client will constantly use their cabinets to store their cooking materials and their food. That said, it is important that when choosing kitchen cabinets, they purchase high-quality, damage resistant materials. At our showroom, you and your client can confirm which cabinet colors and material would coordinate better in their kitchen. 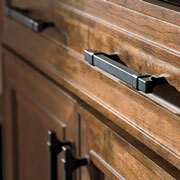 Cabinet hardware (knobs and handles) are important to the overall look of a kitchen. 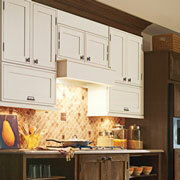 The mere design of the cabinet handles or knobs could redirect your client’s kitchen to a certain theme. So, depending on if your client wants a certain theme in their kitchen or not, the handles they choose could affect the overall aesthetic of their kitchen. 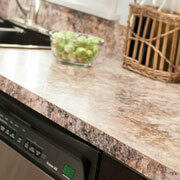 At ProSource of Daytona Beach, we have dozens of displays and samples of countertops for your clients. Here, you will be able to compare and contrast different countertop materials and determine which would look better in your client’s kitchen. 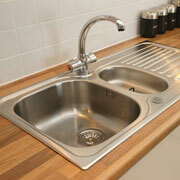 A shallow sink makes life difficult, especially when washing dishes, rinsing produce, or thawing meat. 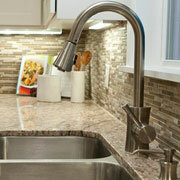 If your client is done struggling with a small sink, ProSource can help!